Both wills and living trusts can name beneficiaries and appoint people or entities to manage your estate upon your passing. However, a will is just a document while a living trust is a legal entity that can be pictured as a box. 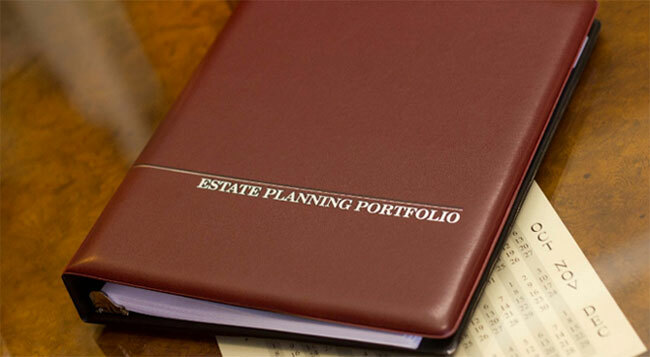 This box can stay intact long after its creator(s) passes to accomplish a variety of estate planning goals. Controlling Distributions. Young families with life insurance may wish to control how and when young beneficiaries receive their inheritance rather than letting a child potentially receive a large sum of money at age 18. In Arizona, 18 is the age in when a beneficiary legally receives their inheritance unless other plans are specified in a trust. A living trust can state the terms of how and when beneficiaries or their guardians receive money for education, health, maintenance and support until a designated age is reached. Maintaining a Residence. A living trust can hold and maintain a residence after its owner passes for the benefit of children, their guardians, a spouse in a blended family or anyone else the trust's creator chooses. A provision can instruct the trust to pay none, some or all expenses such as a mortgage, taxes, utilities and maintenance. Ensure that the will's instructions are carried out correctly. Assets with named beneficiaries (life insurance, IRA's, etc) and assets in a living trust avoid probate. Probate does not affect all estates in Arizona. Learn more about probate in Arizona. A revocable living trust is a popular subset of living trusts. It is "revocable" because it may be altered or terminated by the trustor (the trust's creator). It is "living" because it's created during the trustor's lifetime. A trust is managed by trustees. The trustor often appoints him or herself as the initial trustee in order to retain full control over assets. If the initial trustee becomes unable to make decisions or passes, his or her appointed successor trustees follow the trust's instructions. Successor trustees have a fiduciary responsibility to follow the living trust's instructions and are held accountable by the beneficiaries. The successor trustees keep an accounting of all activities related to the living trust and must provide the accounting to the beneficiaries when requested. Can assets be added to a living trust after it is established? Yes. Tangible personal property, such as clothing, jewelry and furniture, that does not have a formal ownership title is automatically added to the living trust via an assignment of personal property. To add a titled account, you can take your living trust and estate planning documents to the institution, such as a bank, where they will take note of the trust name, trustees, etc. and place the trust name as the owner of the account. Accounts do not need to be formally listed within the legal pages of the living trust, but it will help successor trustees if an updated asset and liability list is kept with your documents. Can couples establish revocable living trusts together? Yes. You can create a trust alone or as a couple, married or unmarried. Members of a couple can name themselves co-trustors and co-trustees. Couples do not need to create separate trusts for each person unless they intend to hold assets separately. Are revocable living trusts registered with the state of Arizona? In Arizona, a revocable living trust is a private document and is not required to be recorded. Some states require revocable living trusts to be registered. If you have additional questions, do not hesitate to contact us at the number below.